The small onions used for pickling or stews are called pearl onions (Allium ampeloprasum). Most reach no larger than an inch in diameter. They have thin skins and a mild, sweet flavor. These small onions require much the same care as standard onion bulbs, but they mature earlier and take up less space in the garden bed. 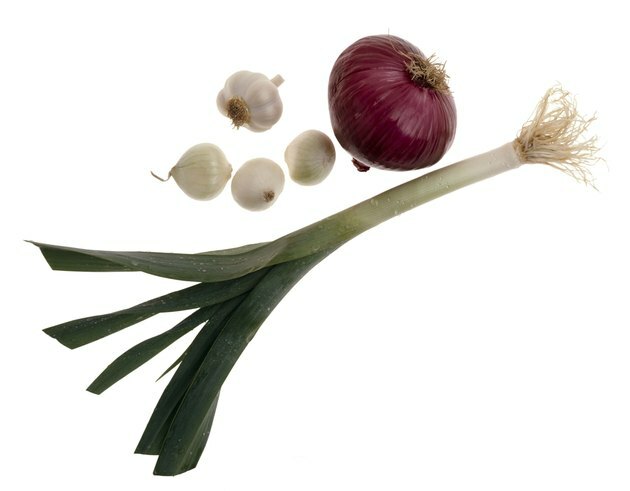 Pearl onions are a fraction of the size of a full-sized onion variety. Fill a seed starting flat with moistened potting mix. Sow the pearl onion seeds on the soil surface, spacing the seeds 1 inch apart in all directions. Cover the seeds with 1/4 inch of soil. Cover the flat with a clear plastic bag. Set the flat in a 70 to 75 degree Fahrenheit location to germinate. Most onions sprout within 2 weeks of sowing. Remove the plastic and relocate the flat to an area that receives bright sunlight. Water the potting soil when the surface begins to dry. Transplant the pearl onions to a well-drained, full sun garden bed once the soil thins enough to work in late spring. In areas that don't experience frozen weather or extreme freezes, transplant outdoors in late January or early February. Spread 1 cup of 8-8-8 fertilizer over every 50 square feet of garden bed 3 days before transplanting. Till the fertilizer into the top 6 inches of soil. Scoop the pearl onion seedlings from the flat with a spoon, scooping out the root and the soil attached to the roots. Plant the seedling in the garden bed at the same depth it was at in the flat. Space pearl onions 1 1/2 inches apart in rows spaced 2 inches apart. 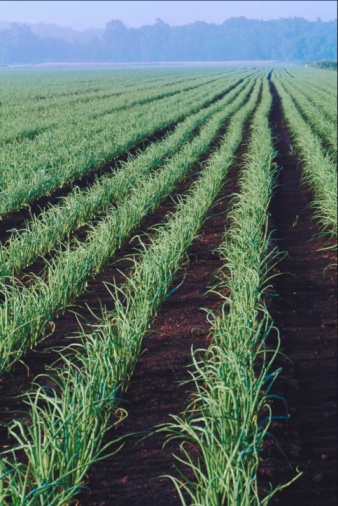 Supply the onion plants with approximately 1 inch of water a week from irrigation or rain. Pearl onions require soil that remains evenly moist without drying or becoming soggy. Fertilize the pearl onions with 1/2 cup of 21-0-0 fertilizer per 50 square feet 4 weeks after transplanting. Sprinkle the fertilizer around the plants but not directly on top of them. Water the bed after application. Harvest the onions after the foliage yellows and begins to fall over in midsummer. Loosen the soil between the onions rows then lift the pearl onions from the soil. Avoid digging directly in the row, as that may damage the pearl onion bulbs.